A study in refined simplicity, Bola Disc Flush offers a magical combination of mirror and globe refined down to its bare essentials. The objective with the Bola Disc Flush is to provide both direct and reflected light from either ceiling or wall mounted vantage points. Bola Disc Flush brings elegance and refinement with four sizes and four finishes in white, brass, rose gold, or chrome. 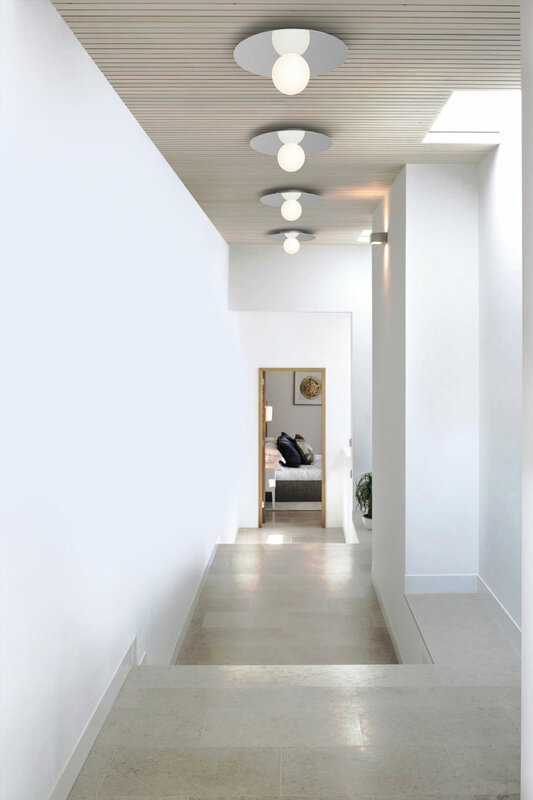 An ideal fixture for adding diffused and reflected light in hallway corridors, nooks, dining settings, bedrooms, or living areas. Stunning groupings can also be created by mixing different sizes together to form unique custom light displays.